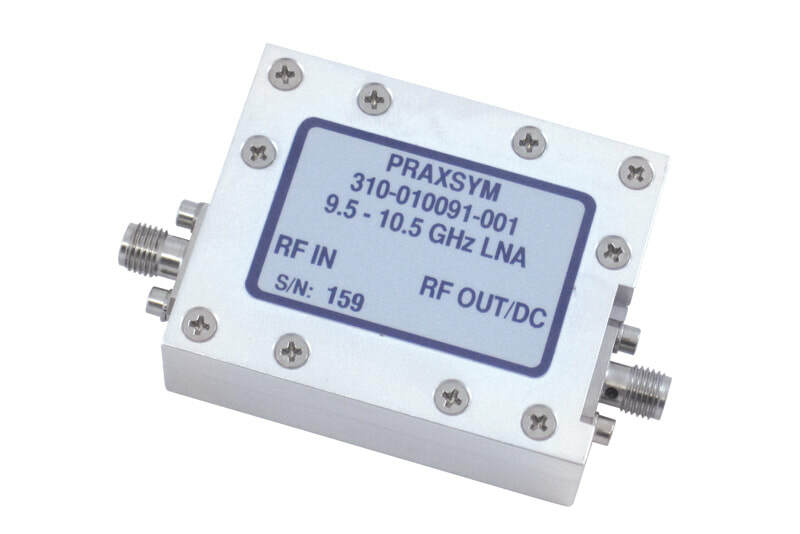 The 310-010152-002 Low Noise Pre-Amplifier and companion external low noise amplifier (LNA) are used to amplify low level microwave signals. The Pre-Amplifier contains an AC/DC power supply, internal low noise amplifier, and a bias tee to source a DC bias voltage on the RF input connector. 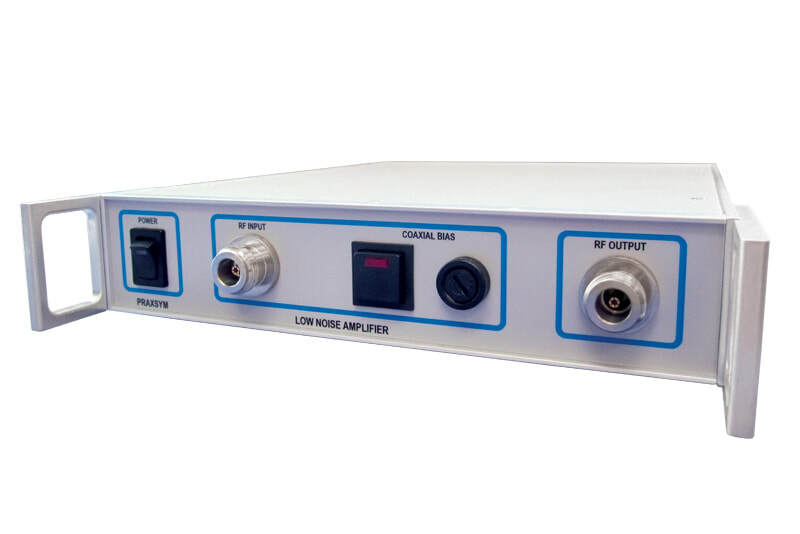 To overcome cable loss between the test antenna and the Pre-Amplifier assembly, a remote low noise amplifier (LNA) is mounted directly onto the 10 GHz antenna. A bias tee inside the Pre-Amplifier chassis powers the remote LNA through the coax cable interconnecting the pre-amplifier and the 10 GHz test antenna. The 10 GHz signal is amplified, travels through the coax cable and then is applied to the Pre-Amplifier at the RF input connector. Using this configuration, the Pre-Amplifier can be interfaced to the 10 GHz test antenna with cables having insertion loss as high as 20 dB without significantly degrading the overall system sensitivity. 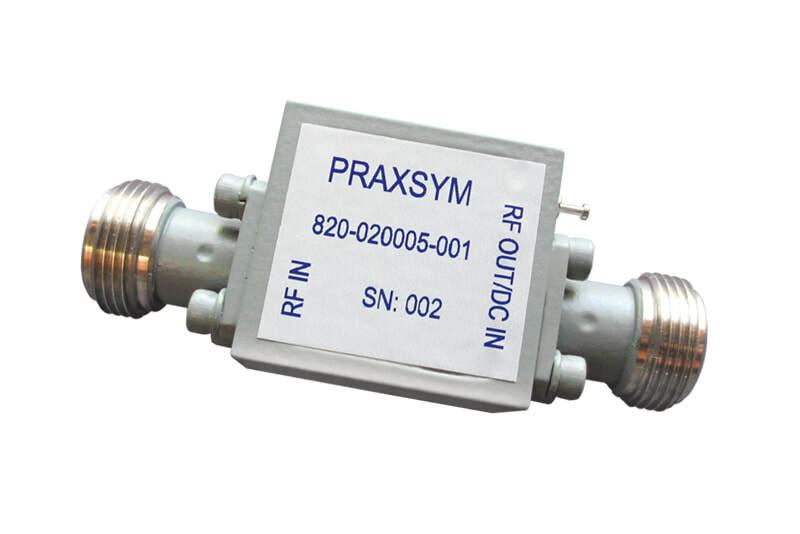 ​Low noise amplifiers are available with N-type female connectors (820-020005-001) or SMA jacks (310-010091-001).